LONDON (Reuters) - The price of digital currency bitcoin hit its highest in a month on Tuesday, after a fall in Chinese foreign exchange reserves to their lowest in nearly six years highlighted Beijing's efforts to control capital outflows. 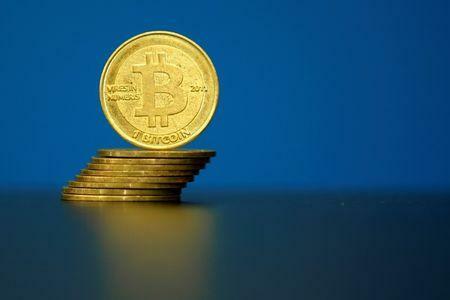 Bitcoin rose 2.5 percent to as high as $1,050 on the Europe-based Bitstamp exchange, its highest since Jan. 5. Bitcoin is used to move money across the globe quickly and anonymously and does not fall under the purview of any authority, making it attractive to anyone wanting to get around capital controls, such as China's. Data shows most bitcoin trading is done in China. In recent months, bitcoin and the yuan have frequently traded in an inverse relationship. It has also occasionally traded in line with safe-have assets such as gold and top-rated government debt. China's FX reserves fell below $3 trillion last month for the first time in almost six years.